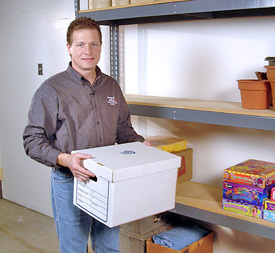 I choose Bix Basement Systems after an internet search and they were the first to call back! Sherri in the office was VERY NICE! Justin Hidden, Juan Hernandez, and Sammy installed wall supports on my basement. Wall is pushed in 3.5 inches. It feels good the walls are stabilized and will be working back straight again over time. Guys were very professional and worked hard. Everything about this project went well! LOVE your guarantee! The rep (Barry) who came to our house was knowledgable and told us fun stories about some of the crawl spaces he’d been in. They came to do the job as scheduled and got done fairly fast. Now I have a crawlspace that I can use and doesn’t look like an open grave anymore! Two reasons that I chose Bix over other companies was because the price was a little better and I completely trusted your representative. Courtney and his crew were just awesome. They were fantastic. I had to leave the house for awhile but the crew stuck around to do a final walkthrough, I really appreciated that. The cleanup was better than expected. Out of all of the contractors we called, you guys were the only ones who even responded. Other companies don't care about doing a small job like this. We've noticed for years that so many contractors don't even get back to you. One thing you guys had was customer service. You guys were very good about communicating all the way from the salesmen to the crew. I really appreciate that. It's really rare these days to have that great of customer service. I located Bix Basement Systems on the internet. The sale representative took the time to explain your business and how it works. He also gave me his personal cell phone number in case I had any questions! We wanted to let you know that Andrew "Mack" McCartney deserves to be recognized for his HONESTY. On a Monday, a competitor came out and quoted us $1,000-$2,500+ to fix our small leak. The fix involved taking down drywall, and if needed, ripping up 25 feet of our finished basement, which included moving a small kitchenette. On Tuesday, Mack came out and, to our surprise, advised us to make sure our drain pipe in that location was working before we proceeded (the competitor didn't even notice this pipe). On Wednesday, we tested and found the pipe was not working. My husband fixed our problem with an elbow, a pipe and a rain barrel - we are just running the water away from the house on top of the ground. We have had a LOT of rain this month and the basement is as dry as a bone. Our leak is GONE!!! Thank you, Mack, for your HONESTY and GOOD ADVICE. We will always remember Bix Service and Mack McCartney, and we will do our best to recommend you whenever we hear of someone else around here with a water problem. Thank you, thank you!!! I am very satisfied with the job that was completed. The crew was professional and explained everything I needed to know. In 2010, Bix Basement Systems is proud to celebrate over 50 years of providing the highest level of service to our customers. Bob Bixenman founded Bix Basement Systems in 1960 with this concept in mind. 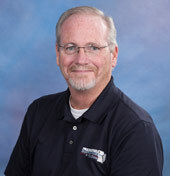 Bob Bixenman founded Bix Basement Systems back in 1960 on the principle of providing the highest level of customer service possible. This tradition continues today under the direction of Bob's stepson, Kevin Brown, with over 50 years of basement waterproofing, crawl space repair, foundation repair, mold control, and sump pump installation experience. Bix Basement Systems has evolved with the changing times, and continues to provide homeowners with advanced, modern products and repair techniques. We have evolved as technology has improved in always looking to improve our products and techniques. We are very fortunate to be associated with Basement Systems and Supportworks since their inception. With their expertise and training support, we know that we can offer the highest quality products available anywhere for our customer's water control and foundation repair needs. Bix Basement Systems is the exclusive Basement Systems dealer for the Southeast portion of Iowa including Van Buren and Lee counties, the Northeast section of Missouri including Clark and Lewis counties, as well as Hancock, Adams, and McDonough Counties in Illinois. We have been a Basement Systems Dealer for over 17 years and has always upheld company standards. We are currently members of the Basement Systems DeLuxe program. We have joined in many comprehensive training sessions over the years and most employees have earned the esteemed title "Certified Waterproofing Professional." If you have a wet basement, foundation or crawl space issue, give Bix Basement Systems a call today! We'll send a trained system design specialist who will surpass your expectations. After all, basements, foundations and crawlspaces are what we focus on everyday. Who knows better than the waterproofing experts?